The DISDads Podcast panel heads to the West Coast as Brad Coates, Don Donfris, and Chris Papciak join host Aaron Rittmaster to discuss budget dining at Disneyland Theme Park (with a little Downtown Disney as well). 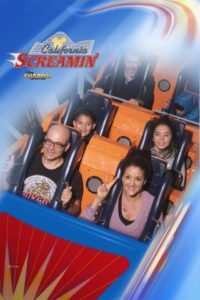 What are you favorite inexpensive eats at Disneyland? Tell us about it! Leave a comment here on the blog; Email us at podcast@disdads.com; tweet us at DisDadsPodcast on Twitter; and check out our DISDads Podcast Facebook page. 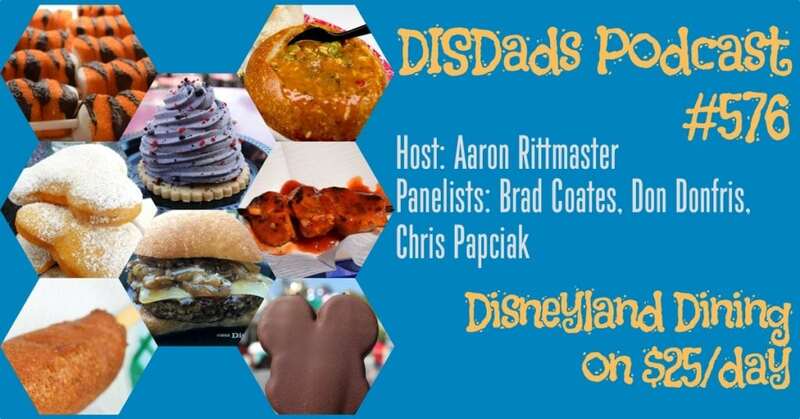 The DISDads Podcast panel takes a stab at re-imagining Tomorrowland at Disneyland, in a post-Galaxy’s Edge theme park. We consider overall theming, as well as specifics of all of the existing Disneyland Tomorrowland attractions. 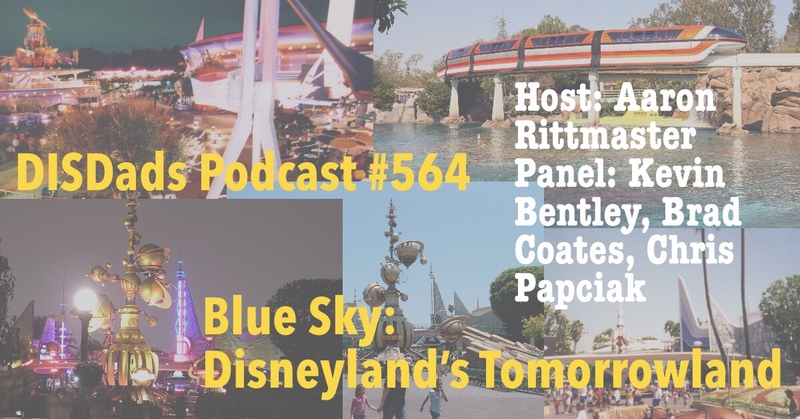 We discuss what could be done to change and/or update each element to make Disneyland’s Tomorrowland a more coherent and consistent theme park land. What do you think of the panel’s take on Disneyland’s Tomorrowland? How would you like to see Disneyland’s Tomorrowland transform – especially post-Galaxy’s Edge opening? Tell us about it! Leave a comment here on the blog; Email us at podcast@disdads.com; tweet us at DisDadsPodcast on Twitter; and check out our DISDads Podcast Facebook page. 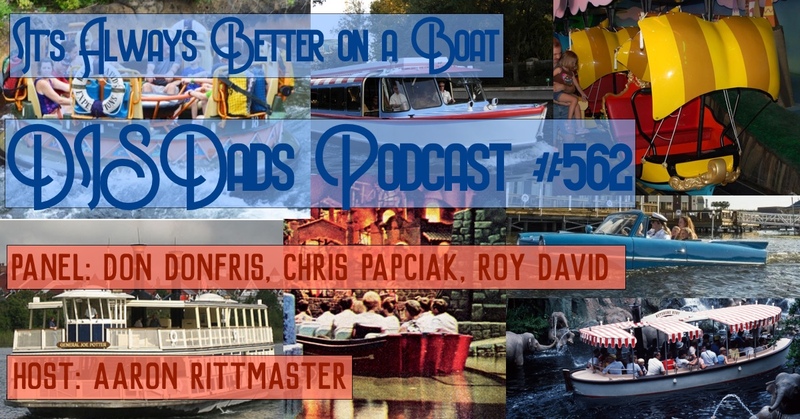 Don Donfris, Chris Paciak, and Roy David join host Aaron Rittmaster to talk about our favorite Disney Parks boat rides, because it’s always better on a boat! 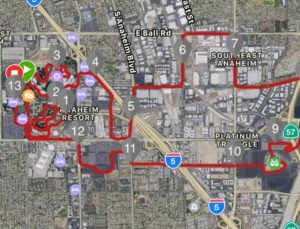 (We even take a brief detour to the Dark Side, and talk a bit about Universal Orlando). What are you favorite Disney Parks boat rides? Which boat rides are need of improvement or update? Tell us about it! Leave a comment here on the blog; Email us at podcast@disdads.com; tweet us at DisDadsPodcast on Twitter; and check out our DISDads Podcast Facebook page. 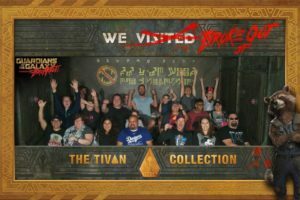 An expanded panel, including Kevin Crossman, Don Donfris, Jason Mitts, and DISDads Podcast panel newcomer Murry Conway join host Aaron Rittmaster to consider the impact of various bits of Disney theme park news, and the likelihood of a variety of Disney theme park rumors coming true. 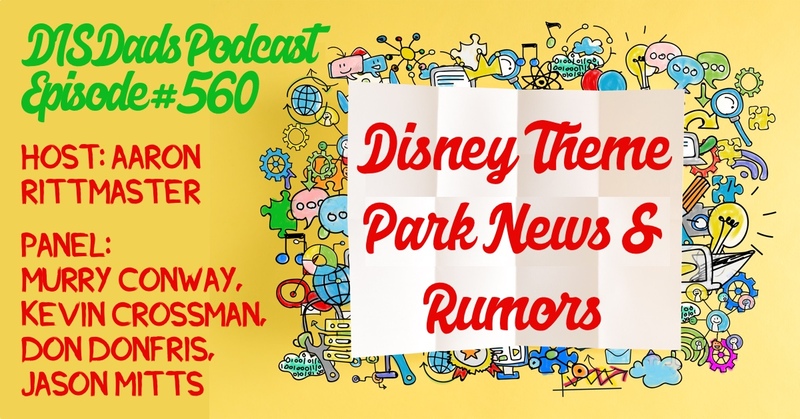 This time around, the panel considers news and rumors from three Walt Disney World theme parks, Disney Springs, and Disneyland Resort. 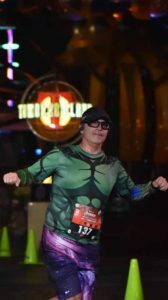 What do you think of the Disney news shared on this episode? What did the panel get right in its assessments? What did they get wrong? What’s YOUR take? Tell us about it! Leave a comment here on the blog; Email us at podcast@disdads.com; tweet us at DisDadsPodcast on Twitter; and check out our DISDads Podcast Facebook page. Ed. 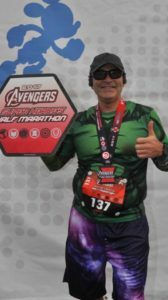 Note – Updated file, with improved audio, was uploaded late Sunday night/early Monday morning. If you can’t hear the host-side audio, try re-downloading the podcast. The file has been renamed, so that it should be recognized as a new file. 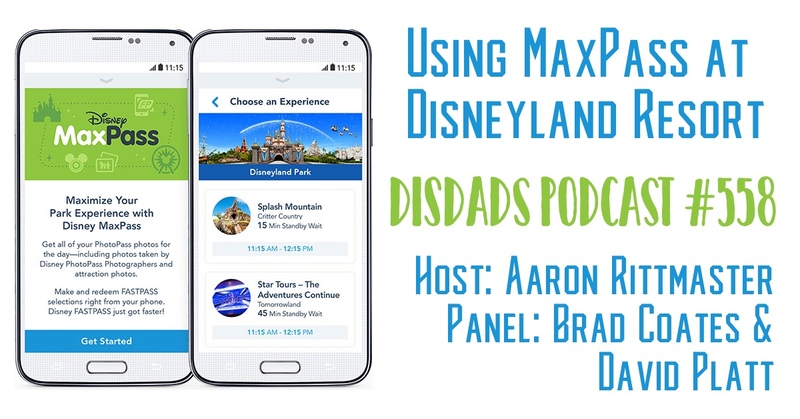 David Platt and Brad Coates, from the DISDads West Coast contingent, join host Aaron Rittmaster to talk about using MaxPass at Disneyland Resort. 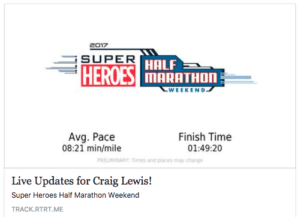 David has a post up on his blog that summarizes the basics. What do you think of MaxPass? 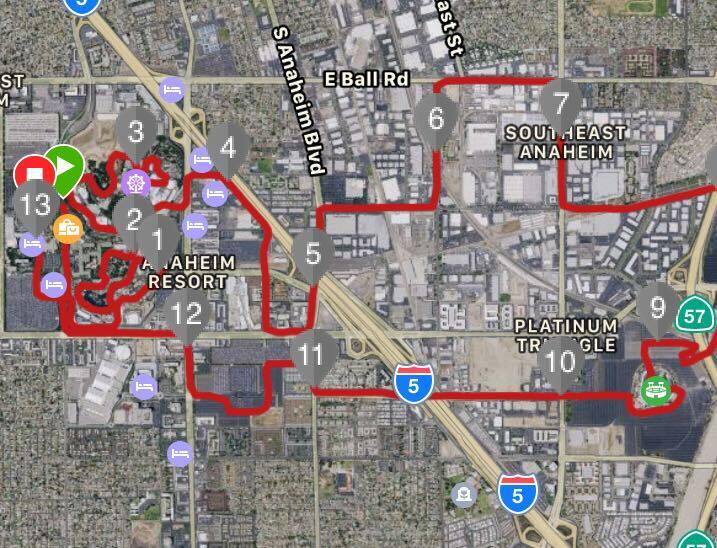 Will you make use of it on your next Disneyland trip? Would you like to see something like MaxPass at Walt Disney World? Tell us about it! Leave a comment here on the blog; Email us at podcast@disdads.com; tweet us at DisDadsPodcast on Twitter; and check out our DISDads Podcast Facebook page. 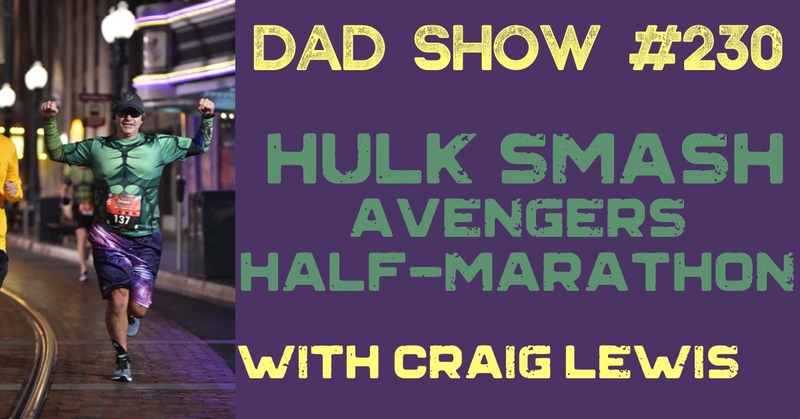 Craig Lewis sits down with host Aaron Rittmaster to talk about a one-day/one-night whirlwind couples’ Disneyland trip that included an Avengers Half-Marathon personal record and new experiences on both new and old attractions.